Jim Colleran is Irish through and through and grew up calling Ireland home for many of his years. So we’re always delighted when Jim shares his personal love and intimate knowledge of his homeland with our Irish walking groups. With outdoor adventure in his heart, Jim also loves to guide our programs in New Zealand, Utah, Maine, and Colorado. In his spare time, Jim works at an archaeology research institute in southwest Colorado and now makes his home in the four corners area of Colorado. 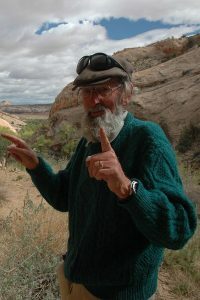 Most recently Jim joined us on one of our adventures to a cliff dwelling in the Butler Wash area near Bluff, Utah, incorporating his deep knowledge of the “Ancient Ones”, the Anasazi, to help us imagine what life was like more than 1000 years ago for those who walked before us.